Keep calm and drink G&T! 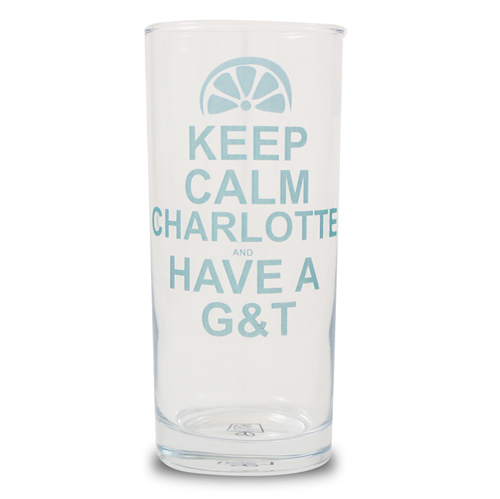 This fashionable glass will make the perfect gift for a G & T lover! This fun Keep Calm glass will make a perfect gift on any occasion, with the on trend style and colour scheme this is bound to be a winner with your loved one.On the front of the glass a name of 12 characters to make it a truly special present. Glass is presented in a folding gift box.